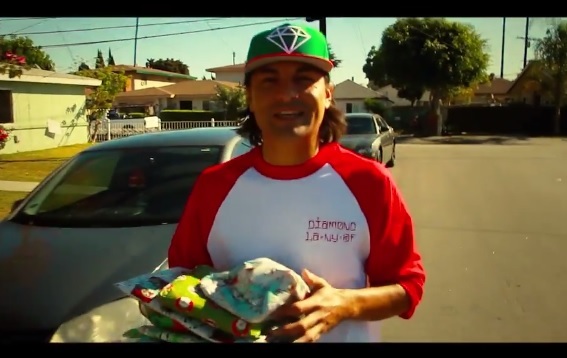 Diamond Supply Co.’s, Nick Tershay, recently linked up with artist, Tito Rodriguez, for a special 2013 Christmas giveaway. Rodriguez has always been one to give back to his community and this past holiday season was no different. Check out the Long Beach native’s latest visual, “A Diamond Christmas,” which documents Rodriguez’s recent travels throughout the city in his quest to surprise underprivileged kids with free Diamond Supply gear. The lucky winners that were chosen were those who exemplified a positive attitude, were respectful and worked hard in school. This entry was posted in Miscallenous, Video and tagged Diamond Supply Co, hip hop, Long Beach, nick tershay, producer, rap, tito rodriguez, tnut. Bookmark the permalink.